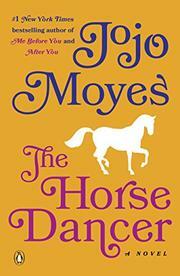 A horse-loving girl and a cynical lawyer cross paths in this 2009 novel now being published in the U.S.
Fourteen-year-old Sarah lives with her grandfather, a man who once rode with the elite riding school Le Cadre Noir, and spends every spare second working with her horse at an urban stable under railway arches in London, hoping to follow in his footsteps. But when her grandfather suffers a stroke, Sarah is on her own—until she runs into Natasha Macauley, a lawyer who’s used to working with disadvantaged children. Natasha has problems of her own—she’s dealing with her challenging legal career and trying to navigate the messy dissolution of her marriage. When she and her almost-ex-husband impulsively decide to take Sarah in, complications quickly arise. Sarah keeps sneaking out to care for Boo, and as her situation grows more desperate, she begins lying and stealing. Was it a mistake for Natasha to become involved in Sarah’s life? And will Sarah be able to protect her beloved horse? Clocking in at nearly 500 pages, the story sometimes feels bloated. However, it’s easy to become emotionally invested in the characters, and Sarah’s situation is compelling and unique. If readers are willing to stick it out, they’ll be rewarded with an ending that is both satisfying and sweet. Fans of Moyes (Paris for One and Other Stories, 2016, etc.) know what to expect from her books—big emotions, quirky characters, and a few tears—and this one delivers on all counts.